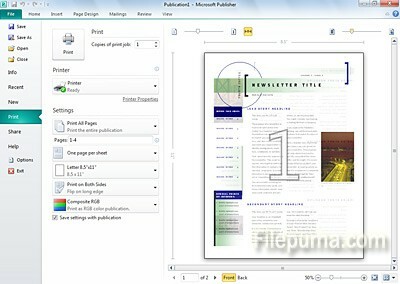 Microsoft Office Publisher offers templates for various documents. Its email templates cover newsletters, referrals and cell phone emails. You could customize the contents or style format. Here is the instruction to tell you how to center an email page in Publisher. 1. Click a paragraph in a template’s text box to select the entire paragraph. 2. Click “Home—- ribbon’s—- Paragraph—-Center. And then Publisher will center the text within the box. 3. Put your cursor over the edge of the text, click the arrows to select the text box. 4.Switch to the “Format” ribbon. 5. Click the down arrow next to “Align” in the “Arrange” tab. Select “Align Center.” Publisher will center the email page.